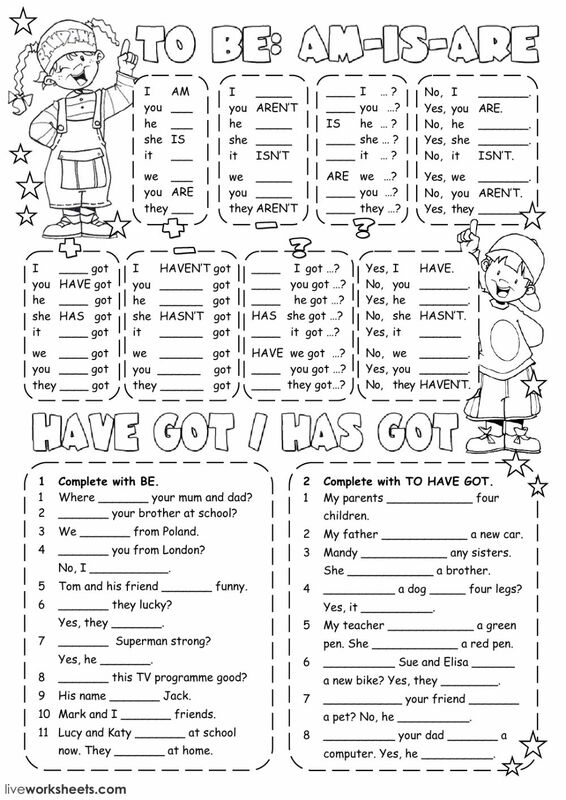 Live worksheets > inglés > English as a Second Language (ESL) > Verb to be > To be or to have got? 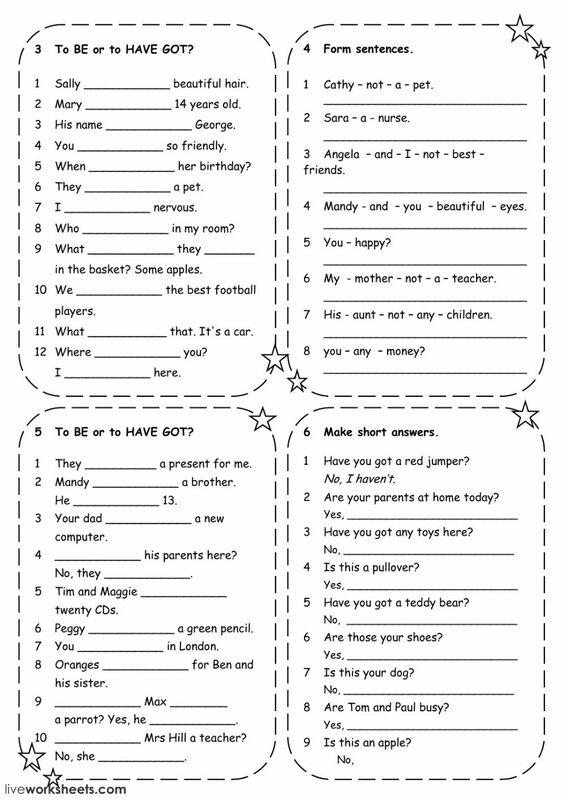 Exercises to practise the verb TO BE and TO HAVE GOT in present simple tense. Published with permission of the author. Thanks a million, Alenka! Really great! Thank you, Victor. Maybe one day I will follow your instructions and try to transform some worksheets by myself. Fantastic material! Many thanks, dear Victor. Really liked it. Thanks for the help. Before giving my daughter the printed doc, I'll ask her if she wants to try it on the pc first.I think nowadays, children tend to prefer technology. great job!thanks so much for sharing!! very nice and challenging! congrats!